Phnom Penh, March 18, 2011 AKP – Cambodian Deputy Prime Minister and Minister in charge of the Office of the Council of Ministers H.E. Sok An received here on Tuesday a delegation of the World Organization of the Scouts Movement (WOSM) for Asia-Pacific Region led by Mr. Prakorb Mukura, First Vice President of the Regional Scouts Committee. On the occasion, H.E. Sok An, also President of Cambodian National Scouts (CNS), briefed the six-member WOSM delegation of the CNS’ history and activities. CNS was established in 1934 and it became a full member of WOSM in 2008, he said. He further focused on the four-point plan to develop CNS and asked WOSM Asia-Pacific Scouts Region for support and assistance to CNS’ human resource training. In reply, Mr. Prakorb Mukura praised for the development of CNS, stressing that the WOSM Asia-Pacific Scouts Region, which has a current membership of 19 million from 26 countries, is the main source to help develop CNS through visits and camping. Phnom Penh, March 18, 2011 AKP – French Ambassador to Cambodia H.E. Christian Connan has praised Cambodia for its efforts in combating counterfeit medicines under the FSP (Priority Solidarity Fund) Mekong Project. “Cambodia has implemented the project better than Vietnam and Laos,” he said here on Mar. 16 at the inauguration of the office building of the central committee for combating counterfeit drugs funded by the French government. The Royal Government of Cambodia has strong determination in combating counterfeit products, which harm public health, he explained. H.E. So Phan, Undersecretary of State at the Ministry of Interior said France has provided consultants and experts as well as financial assistance to the Cambodian side. Phnom Penh, March 18, 2011 AKP – China has planned to make a documentary film in Cambodia titled “Walk Out of the Country Gate and Smile of Angkor”. This was revealed here on Mar. 17 by Mr. Kong Wenbo, Deputy Director General of China’s Television Program Production Department during the meeting with Cambodian Minister of Information H.E. Khieu Kanharith. Mr. Kong Wenbo further told the minister of his plan to choose Cambodian actors and actresses to perform in the movie. He also sought a support from H.E. Khieu Kanharith and the Ministry of Information. In reply, the Cambodian information minister welcomed and supported the proposal, saying that this is a good cooperation between Cambodia and China. He also briefed his Chinese guest on the cooperation between Cambodia and China in the media field including the cooperation between the Ministry of Information’s TVK and China’s Guangxi TV in producing documentary movies and between the Ministry’s Agence Kampuchea Presse and China’s Xinhua News Agency. Earlier on Mar. 16, H.E. Khieu Kanharith met with UNESCO Country Representative Mrs. Anne Lemaistre. On the occasion, Mrs. Anne Lemaistre told the minister that she wished to further cooperate with the Ministry of Information on a number of works. So far, UNESCO has helped the Information Ministry including providing equipment and vocational training for Cambodian information officials, she said. Phnom Penh, March 18, 2011 AKP – Cambodian Deputy Prime Minister and Foreign Minister H.E. Hor Namhong has asked the U.S. to reconsider the debt owed by Cambodia during the Lon Nol regime. In a meeting here on Thursday with visiting U.S. Deputy Assistant Secretary of State for East-Asian and Pacific Affairs Mr. Joseph Yun, the Cambodian deputy prime minister proposed the U.S. government to reduce the interest rate from 3 percent to 1 percent and to convert 70 percent of the total debt into U.S. development aid to Cambodia, H.E. Koy Kuong, spokesman for the Ministry of Foreign Affairs and International Cooperation told reporters after the meeting. The Cambodian government will negotiate with the U.S. side to pay back the rest (30 percent), H.E. Hor Namhong said. In reply, the U.S. deputy assistant secretary of state said he will discuss the matter with the Cambodian minister of economy and finance and he pledged to submit Cambodia’s proposals to the U.S. government upon his return. The meeting also touched on the fields of health, education, infrastructure and environment, said the spokesman. Concerning the Cambodia-Thailand border dispute, he added, Mr. Joseph Yun said that the two countries are the U.S.’ friends and the U.S. supports the role of ASEAN as coordinator and observer in an effort to help resolve this issue. Phnom Penh, March 18, 2011 AKP – The Embassy of Japan in Phnom Penh has opened a book of condolences from Mar. 16 to 23 for the public who wishes to express their condolences on the tragic losses and suffering due to the recent massive earthquake and tsunami in Japan. The Embassy of Japan sincerely thanks to the people of Cambodia who expressed condolences and kindly offered donations and flower for the victims of the disaster. The amount of destruction, death and suffering in Japan from the disaster is immeasurable. However, the warm and kind heart of the people of Cambodia, as well as those of peoples of many other nations would encourage the people of Japan to rebuild the devastated area. Phnom Penh, March 18, 2011 AKP – The Vietnam National Assembly will make all-out efforts to preserve and develop the traditional relations between Vietnam and Cambodia, a Vietnamese senior legislator said. Vietnamese NA Vice Chairwoman Tong Thi Phong made the commitment at her reception for a delegation from the Cambodia-Vietnam Friendship Parliamentarians Group (CVFPG) in Hanoi on Mar. 17, Vietnam News Agency (VNA) reported. 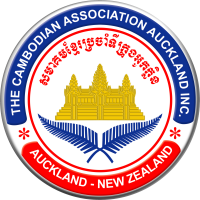 The CVFPG delegation, headed by its President Men Sam An, who is also Permanent Deputy Prime Minister of Cambodia, is on a visit to Vietnam at the invitation of the Vietnam-Cambodia Friendship Parliamentarians Group (VCFPG). Phong expressed her delight at the development of friendship and cooperation between the two countries as well as between the two legislative bodies, saying it brought practical benefits for both, especially in economy, trade, agriculture, industry and post and telecommunications. She spoke highly of the role performed by the two parliamentarians groups and their operations while suggesting the two legislative bodies continue exchanges of visits as well as experiences, and work closely with each other at inter-parliamentary forums in the region and the world. Phong thanked the Cambodian Parliament and people for their support to Vietnam, mentioning the 31st ASEAN Inter-parliamentary Association (AIPA-31) that the Vietnam NA hosted as an example. Men Sam An stressed that the close ties between Cambodia and Vietnam have assisted each country in its own cause of national construction and defense. She affirmed that the CVFPG will continue to partner with VCFPG in bolstering the relations between the two countries and their legislative bodies. The CVFPG will help support Vietnamese enterprises and the Vietnamese community in Cambodia, the Cambodian official said.